Click On The Picture To See All Of The Detail. Gold Finish. 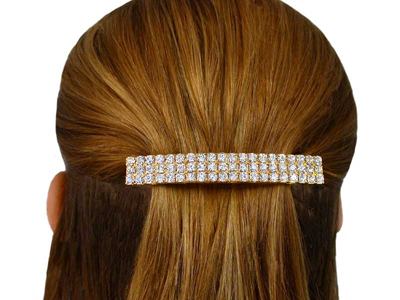 Three Rows Of Genuine Swarovski Crystal, It Measures 3 1/4' Inches Wide. See The Two Row Version Below.